Have you been pulled over and charged with driving under the influence of alcohol or drugs in the Bel Air, Aberdeen, Havre De Grace or Towson, Maryland areas? A DUI or DWI charge is very serious and a conviction will be even worse. According to Maryland law anyone caught operating a motor vehicle with a blood alcohol content (BAC) of .08 or higher can be arrested for DUI. It is also common in today’s world to be charged with DUI while on drugs such as marijuana, cocaine and various prescription painkillers, muscle relaxers and anti-anxiety medications. Regardless of what happened,how intoxicated you may have been or what drugs you were taking you have rights that need to be protected according to Maryland DUI law & Maryland DWI laws. 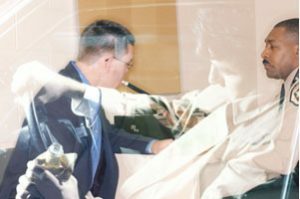 If you are facing DUI, criminal or drug charges in the Bel Air, Maryland area you need the help of our skilled Bel Air MD DUI defense lawyers. When facing DUI or DWI charges in Maryland you have rights that need to be protected. Let our Bel Air MD DUI defense lawyers put their experience to work for you. They offer free consults and serve Annapolis, Baltimore, Bel Air, Aberdeen, Abingdon, Columbia, Churchville, Glen Burnie, Essex, Ellicott City & Towson, MD. As Harford County, Maryland separates the Baltimore, Maryland area from Cecil County there are huge volumes of traffic going in and out of, and through, Harford County, Maryland. This traffic consists of people going to work, school, visitors and tourists. Interstate 95 runs right through Harford County as well as other main roads such as Route 24 and Route 40. Whether you are driving a car, motorcycle or large commercial or government vehicle you can be pulled over for DUI in Harford County. If you are facing first time, misdemeanor, felony or subsequent offense DWI or multiple DUI charges the penalties will be much more severe with each new DUI charge. These warrant having our skilled Bel Air MD DUI defense lawyers in your corner. The first thing you should do is look at your situation. If you feel that you have a problem with alcohol or drugs perhaps you should seek help. While a DUI is a very bad situation be glad that no one was injured or killed due to you driving under the influence. Do not put off seeking the help of our experienced Bel Air MD DUI defense lawyers. Many people fail to realize that there are 2 components to a DUI charge: criminal and administrative. It is entirely possible to have your DUI charges dropped, dismissed or lessened in court but you can still have your drivers license suspended by the Maryland Motor Vehicle Administration (MVA). You will have to attend a MVA hearing after your DUI arrest and it makes sense to have an attorney be there with you to negotiate on your behalf. Many times the full effect of a DUI charge is not felt until long after the arrest as, if you lose your driving privileges, you can lose your job, jeopardize you academic status, etc. Please do not hesitate to call our Bel Air MD DUI defense lawyers to discuss your case. Mr. Turnbull is a very well regarded criminal attorney serving the Baltimore metropolitan area which includes Harford County, MD. Let him put his vast experience to work for you. Dial (410) 321-8860 today. Mr. Turnbull offers free consultations to those facing criminal charges, traffic violations and DUI charges in Maryland. He is also very experienced at handling DUI cases for non-Maryland residents. Proudly serving Aberdeen, Abingdon, Annapolis, Baltimore, Bel Air, Columbia, Churchville, Edgewood, Elk Ridge, Ellicott City, Dundalk, Essex, Glen Burnie, Owings Mills, Towson & White Marsh, MD.